Herbal food supplements are supposed to be potent natural plant medicines to improve our health. Unfortunately, dangerous chemical-tainted supplements have flooded the market, undermining the credibility of companies who are producing safe and pure solutions to treat our health issues. Next to making unproven health claims, these fake supplements may do more harm than good. While they are usually labeled 100 percent natural, some of them contain chemical toxins which are not listed on the label, a team of researchers has warned. According to the study, published in the Journal of the Association of Public Analysts, over-the-counter products classified as food supplements to treat obesity and erectile dysfunction problems often hide unlicensed and illegal pharmaceutical ingredients. As reported by The Guardian, experts believe the pharmaceutical drugs are sometimes added by accident. But on some occasions, they were added deliberately to enhance the effect of the herbal supplement. Emeritus Professor Duncan Burns, a forensically experienced analytical chemist from the Queen’s University Belfast’s Institute for Global Food Security, found that many herbal supplements for weight loss contain sibutramine. This medicine — known as Reductil before it was withdrawn from the U.S. and European markets in 2010 — may increase the risk of heart attacks and strokes. The team also discovered that natural supplements for erectile dysfunction often contain tadalafil and sulfoaildenafil. In combination with nitrate-containing medicines, these chemicals can significantly lower blood pressure and cause other severe health issues. Professor Burns explained that these substances are unlicensed, illegal medicines. Many people are consuming them in large quantities without realizing the effects they can have on other supplements or medications, causing dangerous side effects. He noted that people suffering from conditions like diabetes, hyperlipidemia, and hypertension are frequently prescribed nitrate-containing medicines to treat erectile dysfunction. When these people also start taking drug-tainted herbal supplements, they may experience severe adverse health effects and become very ill. Furthermore, the research team reported on yet another substance, yohimbine, commonly found in food supplements for its fat-burning and aphrodisiac-like effects. Not a pharmaceutical, yohimbine is derived from the bark of a small evergreen tree native to Africa. This widely used food supplement has been associated with anxiety and cardiovascular issues such as high blood pressure and increased heart rate. Given its possible side effects, supplement expert Dan Gastelu noted that there are other, safe, natural nutrition aids available which result in greater weight loss, with fewer or no side effects. 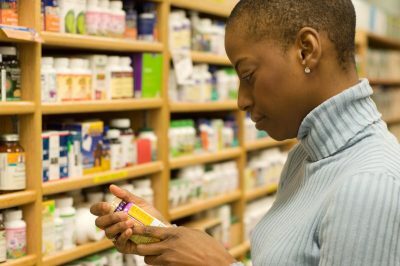 Because these tainted herbal supplements are labeled natural, people are not aware that they have taken dangerous pharmaceuticals and may not discuss them with their healthcare provider, making it hard to pinpoint the cause of the side effects. The research team analyzed data from the European Union’s Rapid Alert System for Food and Feed (RASFF) between 2009 and 2016. They identified unlabeled sibutramine in 63, tadalafil in 29, sulfoaildenafil in 68, and yohimbine in 30 food supplements. “Our review looked at research from right across the globe and questioned the purity of herbal food supplements. We have found that these supplements are often not what customers think they are – they are being deceived into thinking they are getting health benefits from a natural product when actually they are taking a hidden drug’’ said Professor Duncan Burns. Professor Declan Naughton from Kingston University, who was also involved in the study, said this study highlights the vital role research can play in informing regulators about supplement contamination to help keep the public safe. Consumers should always be cautious when buying supplements by using reputable websites, Professor Burns said. Furthermore, when taking therapeutic doses of some supplements, it’s best to work with your healthcare provider and read the labels carefully to scan for hidden toxins.